Gordon Parks overcame the obstacles of poverty and racism and never gave up on his dreams. He attributes his drive for excellence to his mother who told him, “What a white boy can do, you can too—and no excuses.” The first black photographer for Life magazine, Gordon Parks spent over two decades as a professional photographer, and his resume has grown to include novelist, musician, artist, and poet. After reading a story about Gordon Parks in a Kansas newspaper, Ann Parr immediately set out to learn more about his life. She first interviewed the mayor of Fort Scott, Kansas, whose efforts healed wounds between Gordon Parks and his hometown, and then many of Parks’ friends. But it was after interviewing Parks in person that she knew she had a success story that would inspire generations. Ann Parr has written many of the young-adult books in the Race Car Legends, Behind the Moves, and Wild Rides! series. Parr received her bachelor of arts degree in public school music education and her master of fine arts degree in writing for children from Vermont College. She is an accomplished writer and musician and lives in Kansas with her husband. 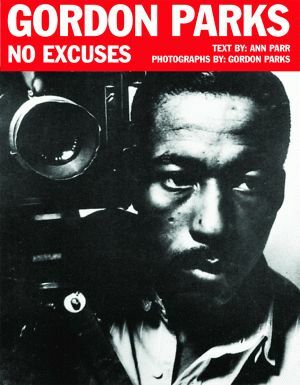 Click here for the Gordon Parks: No Excuses study guide.